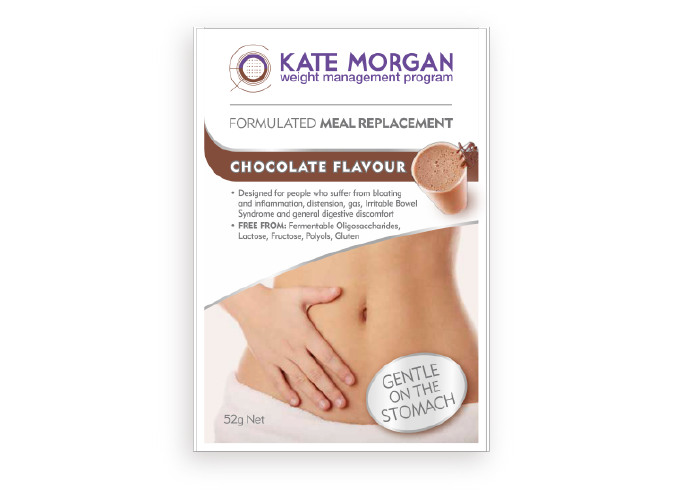 The Kate Morgan “Gentle on the Stomach” shake is designed for people who suffer from digestive issues, or for people who just prefer this style of shake. The shakes are free from Lactose, Gluten, Fructose, Polyols and Fermentable Oligosaccharides. People who suffer from Irritable Bowel Syndrome or just undiagnosed bloating, irritation, gas or distension will find this shake invaluable, but many people with no digestive problems may simply prefer this shake. The nutritional profile of the shake is identical to a standard Kate Morgan Shake. Contains Ingredients Derived From Milk & Soy.